This photo is from a month ago (as of the writing), but not much has changed. We're looking forward to the thaw! 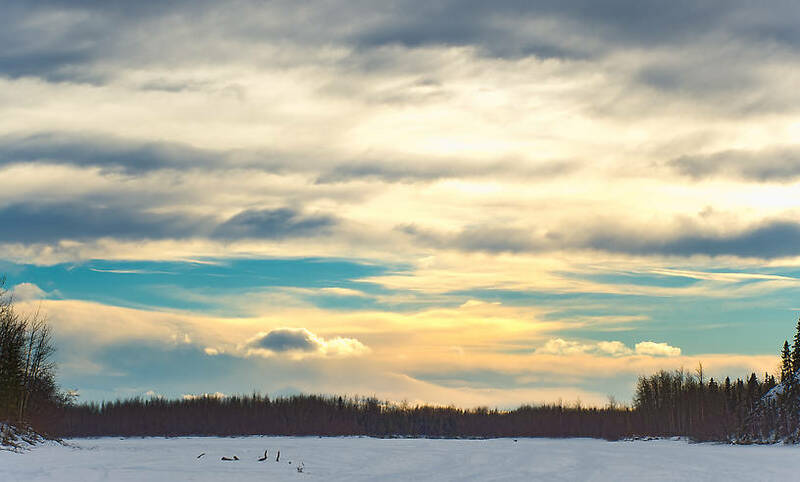 This was a typical late-winter sunset over the frozen Tanana River, a popular highway for mushers and skiiers outside of Fairbanks until the ice becomes unnavigable due to overflow sometime in April.